The new Bosch Automotive Handbook, now in its 10th English edition, has been completely revised and enhanced to include the most recent developments in automotive technology.The expanded content and updated index make using this handbook and looking up technical terms a must-have reference. 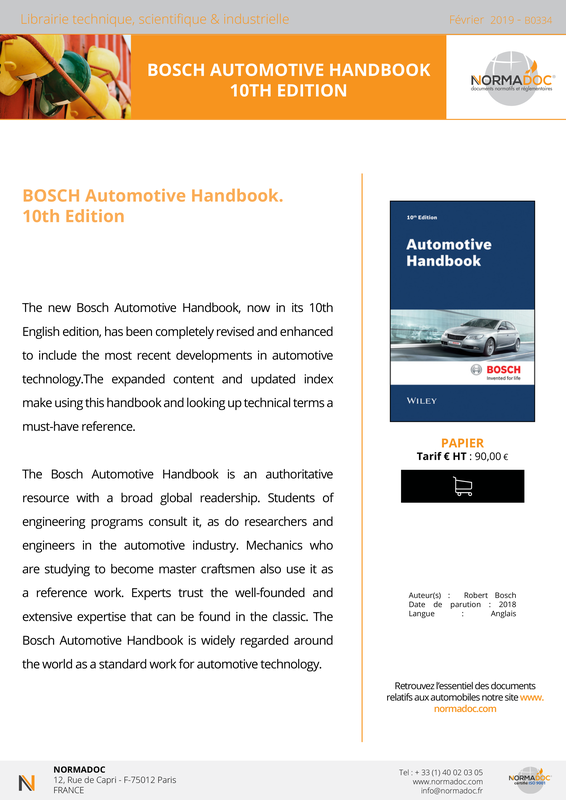 The Bosch Automotive Handbook is an authoritative resource with a broad global readership. Students of engineering programs consult it, as do researchers and engineers in the automotive industry. Mechanics who are studying to become master craftsmen also use it as a reference work. Experts trust the well-founded and extensive expertise that can be found in the classic. 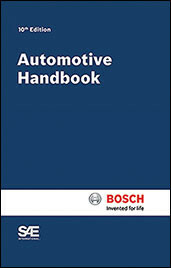 The Bosch Automotive Handbook is widely regarded around the world as a standard work for automotive technology.